Legrand knows that collaboration is key from the classroom to the conference room - and their products are designed to work together. Connectivity enables collaboration, and with Legrand's AV solutions, you can be sure that your facility is able to provide connectivity for a variety of uses. Staying connected is paramount, and Legrand's connected infrastructure is the key to smooth interactions and enhanced collaboration. 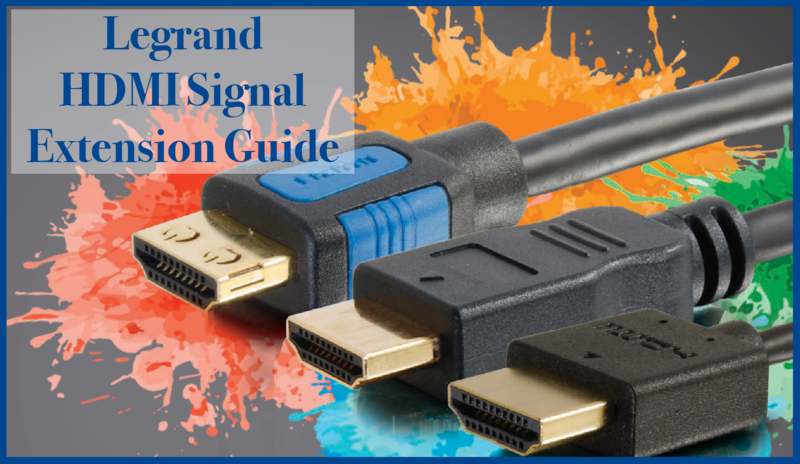 Legrand has created the HDMI Signal Extension Guide to help you familiarize yourself with HDMI signal extension options and terminology. With this guide, you can explore a variety of HDMI solutions fit for a wide range of environments, from classrooms to conference rooms to auditoriums. Want to learn more about HDMI signal extension options and terminology? Fill out the form to the right to get your Legrand HDMI Signal Extension Guide. To download Legrand's HDMI Signal Extension Guide, which focuses on HDMI signal extension options and terminology, fill out the form above.